Very helpful and courteous staff. Comfortable bed. Clean room. Good food. Excellent value for money. A lovely overnight stop over. A very pleasant overnight stay including a lovely buffet breakfast. Standard and cleanliness of room and hotel very good. Second time of our visit and will not be the last time for a stopover. Great place, great staff, amazing breakfast! Easy to check, room is clean, food is ok.
As always we stayed here for an overnight stay on our way to Italy. Room is clean and restaurant is good! Unfortunate I did forget my Ipad in our room when we left the hotel .... did discovered this loss when already in Italy but received an email from Ibis Pontarlier. Such a nice service they kept my Ipad safely when I returned from vacation and that I could pick up in Pontarlier.... a million thanks for that service!! On arrival we found our room extremely cold and it took us sometime to get the room to a comfortable temperature. We had breakfast before leaving and were disappointed that the coffee machine was not working. The alternative coffee was not very good and as there was no hot milk it was even worse. On the plus side, the staff were very polite and welcoming. Standard ibis - but with a decent kithchen ! Standard ibis on the commercial edge of town. Standard ibis rooms. Easy and plentiful parking. Actually ate dinner there, and surprise surprise, it wasn't bad at all ! Good: Convenient bed. Decent amount of space. Helpful stuff. Bad: poor internet quality. Food in the restaurant was rather sub-par. A lot of flies, mosquito net on windows would be very much appreciated. I was very impressed with the ease and speed of checking in and out and sorting out a room change I requested (twin beds instead of a double) The rooms and bathroom are small but the beds are very comfortable and the room air conditioning worked very well. Breakfast was ok. Plenty of bread and croissants available and very good service. All in all a good one night stay. Thank you. Disappointed, I was hoping for a good IBIS hotel quality. At least in this hotel you are not a expected guest, but if you are already there, then the staff will tolerate you. No trace of IBIS much promised sleep quality, old mattresses and in the morning back pain. All the bed was old, any additional pillow, and on towels was saved. I really do not remember when at last time we had so poor breakfast buffet. If you are a member of IBIS loyalty program then in this hotel you can not use your points, the staff ignore your rights. When it´s possible then just avoid. As guests we did not feel ourselves there welcome and comfortable. The hotel seems to have old mattresses and therefore we got both back pain. The hotel saves even on towels. I could not pay with my collected points by check-out, if we can not use the points then why to participate in loyalty program and stay in Accorhotels? Poor breakfast buffet, very poor. I was travelling from Paris to Lausanne and needed to do a pit stop to rest over night. I found this hotel to be ideally placed and at a reasonable pricing. The place was offering the typical basic comfort available in this line of hotels. Very appropriate hotel to stay on the way to Switzerland. This was not my first stay at the hotel and thus I knew and expected the services offered. 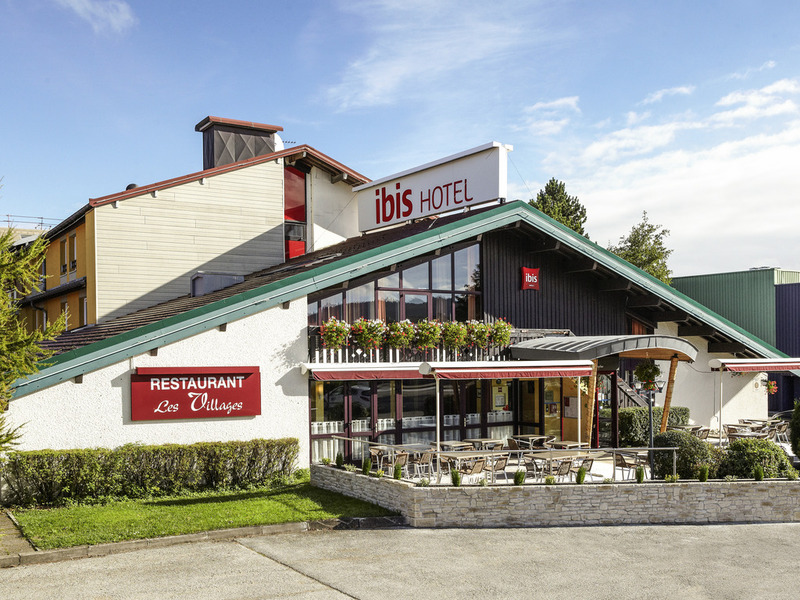 The staff at the Ibis Pontarlier were extremely friendly and the service in the bar/restaurant was good. The only thing that would have made the stay better was a kettle in the room with tea/coffee facilities.